This area has a long history of cultivation as a food garden and orchard from the original Hangan’s Farm in 1806 to extensions of Government House vegetable beds until the 1950s. In more recent times it was the Economic Garden and Pete’s Vegie Patch. All up an unbroken 200 year history of productive plantings. The new Tasmanian Community Food Garden was completed in 2013 on the site of the original ‘Pete’s Patch’. 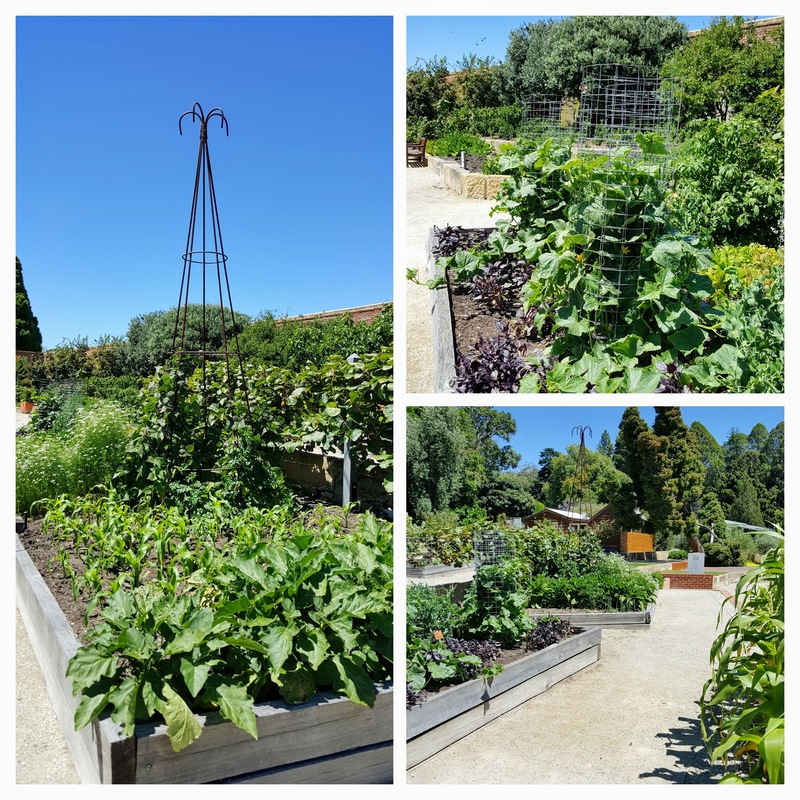 This Garden is a working organic production and display garden, with a multitude of veggie production practices displayed including an example of the original six-bed crop rotation system made famous in the original patch. Tasmanian gardening guru Peter Cundall has always been an avid supporter of the new Garden and has even stated that it is one of the most special gardens of its kind that he has seen in the world. Developed in conjunction with a coalition of community organisations and other interested individuals, it emphasises sustainability, highlights food security and produces local fruit and vegetables for the wider community. This garden provides inspiration and practical ideas for both the home gardener and other community gardens. Famous for its connection with Peter Cundall, the site today is regularly part of television garden host Tino Carnevale’s regular weekly televised feature which can be seen on Australian televisions, ABC ‘Gardening Australia’ program. Organic gardening principles are adhered to here, with the soil naturally enriched by the addition of manures, compost and green manure crops. It is also maintained with an integrated approach to managing pests, diseases and weeds in the areas of the patch. Plots within the garden are available to community organisations who are interested in participating in practical, rewarding, fun activities based around food production, whilst showcasing their individual group to the wider community. 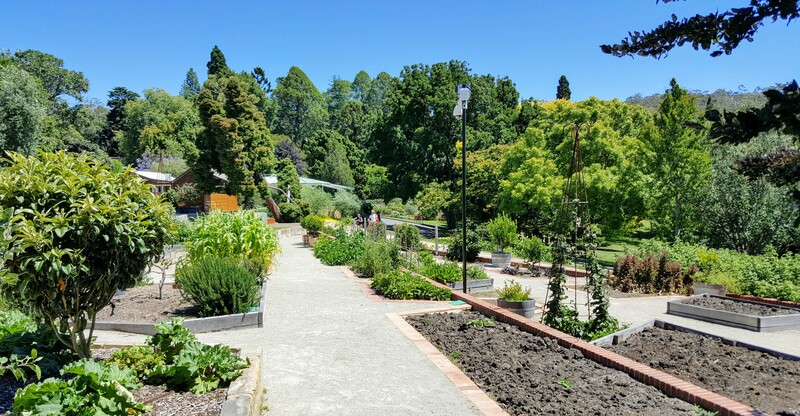 The Tasmanian Community Food Garden also provides a wonderful outdoor classroom where school groups, horticulture students and the general public can learn and benefit from the knowledge of the Gardens experienced horticultural team. 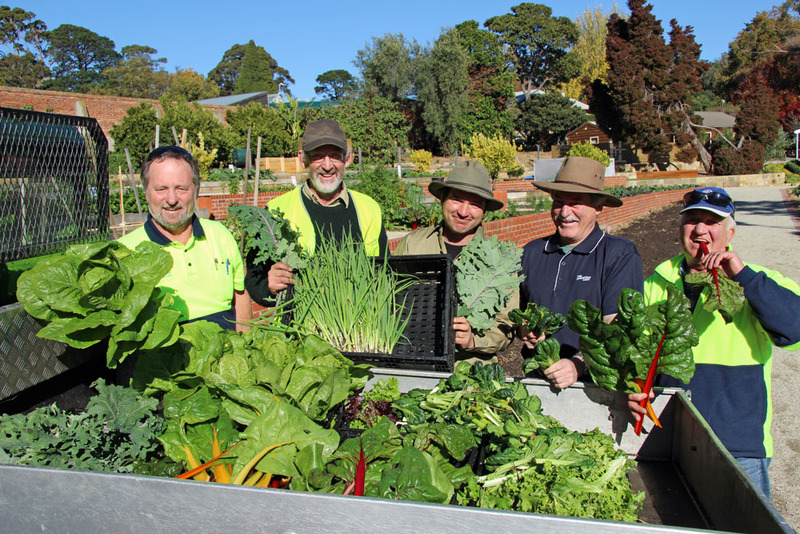 The garden produces around 4 tonnes of produce annually, the bulk of which is donated to Second Bite to be distributed to the needy within the Tasmanian community. Take a look around the Garden as a virtual tour. Click on the image above (A sphere view will own in a new window), roll your cursor over the sphere view image and use the navigation arrows as they appear, to move around.